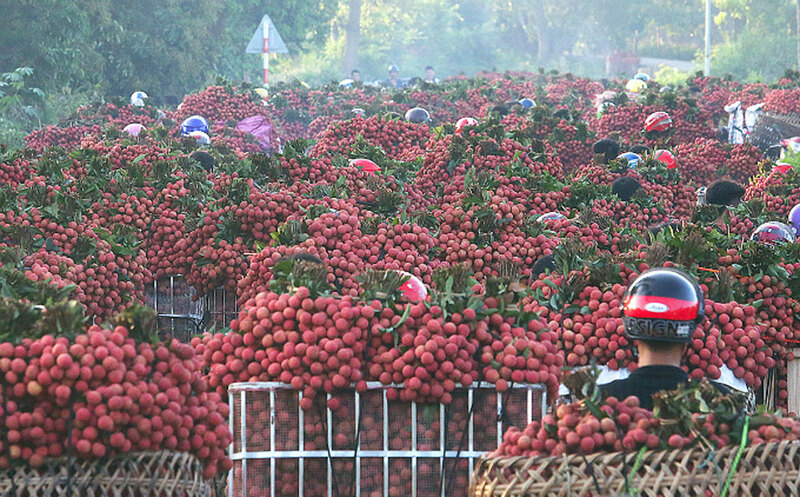 When it is lychee season, the streets of Bac Giang Province and surrounding areas are a sight to behold. 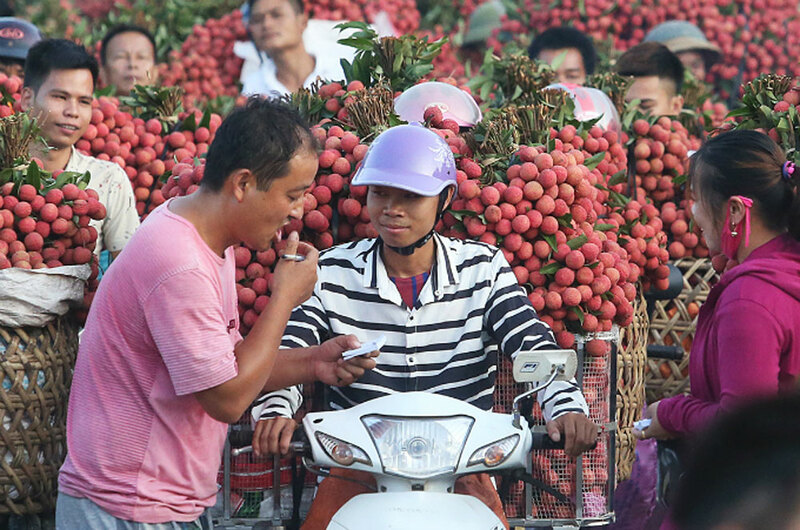 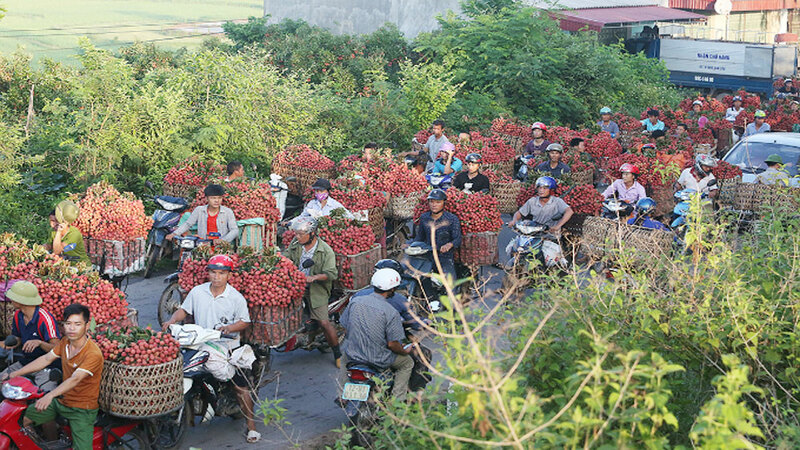 Over the last few days, Bac Giang Province, home to Luc Ngan District which is famous as the major lychee producing area in the country, has worn a decorated look. 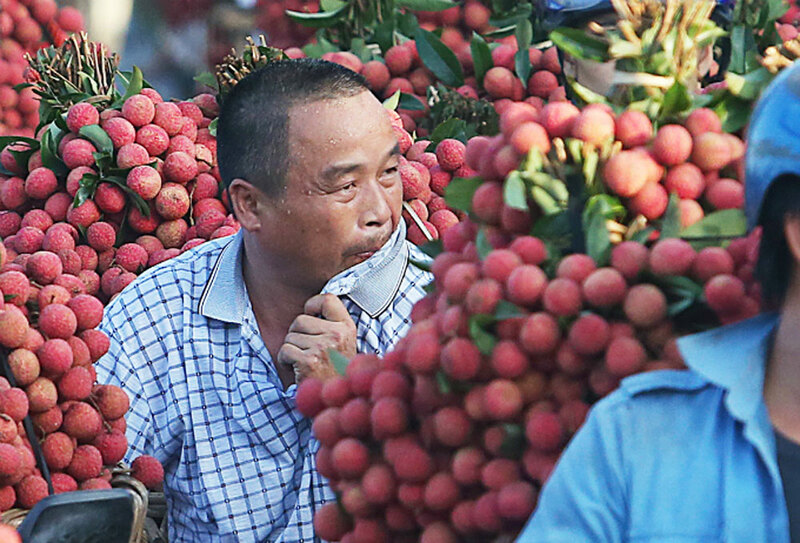 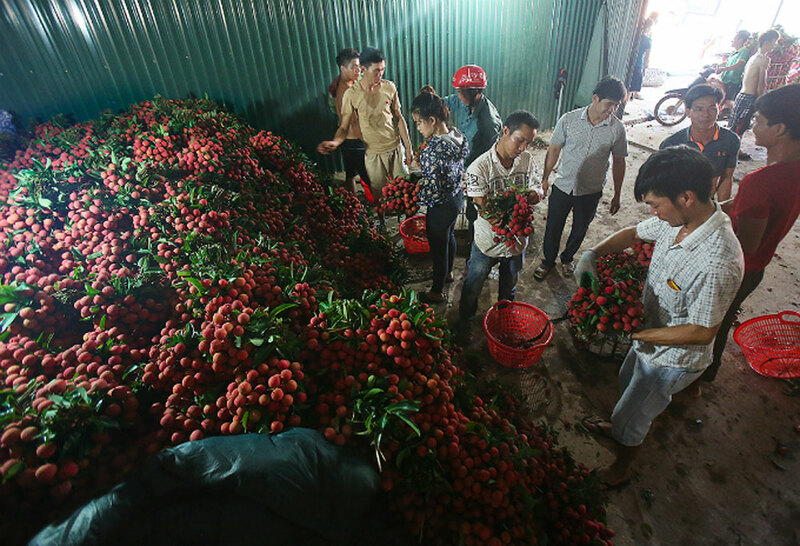 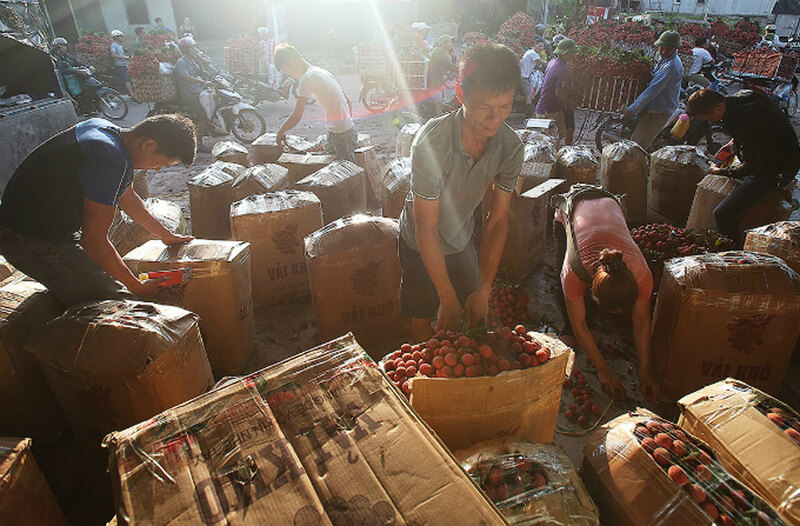 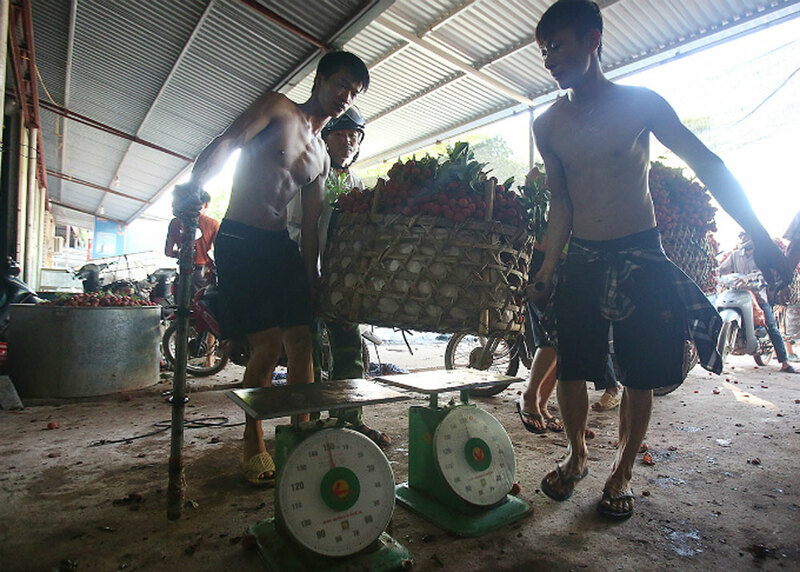 At 5:30 a.m., highway 279 is packed with lychee traders rushing to deliver the seasonal fruit to wet markets. 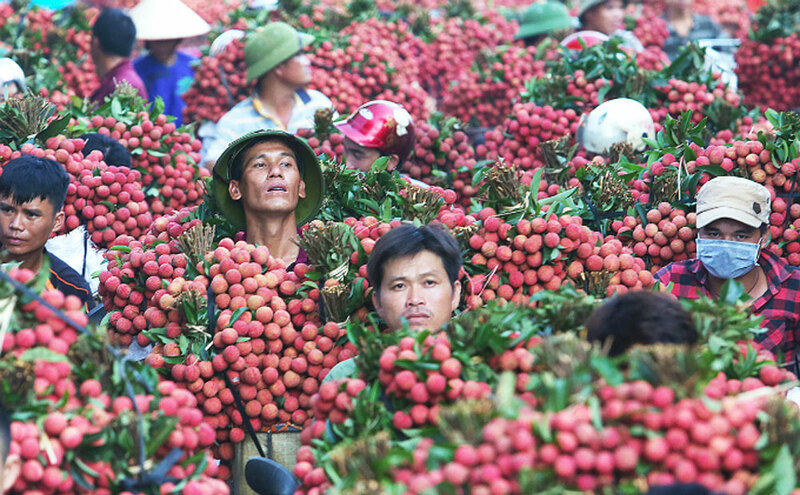 Lychee is freshly picked daily at 2 a.m.